Location: Eastside Costa Mesa, So. Califas. WOW, amazing pictures to inspire the long road of restoration!! I started the new year once again insisting that Porsche Germany respond to my request for a COA. My first request was over 2 years ago! I even copied and asked for help from our President and Factory Liaison! 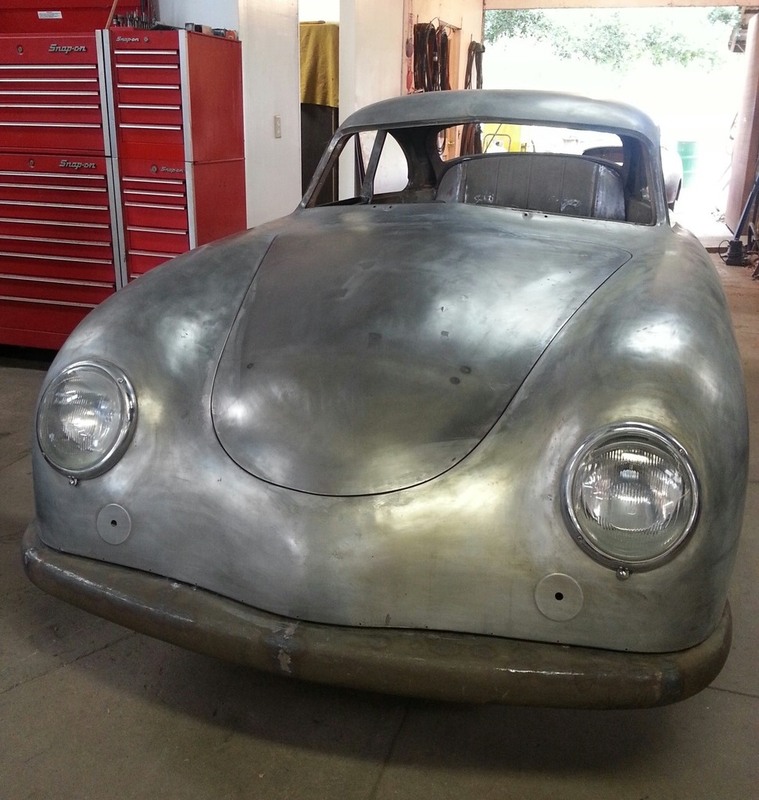 My '51 Coupe #10547 is now out of media blasting waiting for sheet metal from Trevor's Hammer works. Also new is that the car was metioned in an article in the latest version of Christophrus (379) Latin American version. Can someone please post Pre-A VIN plate photos? From Douglas Kim's '52 Glaser (with four rivet fastening). Here is my '55 Continental. A "New Car" compared to you guys. 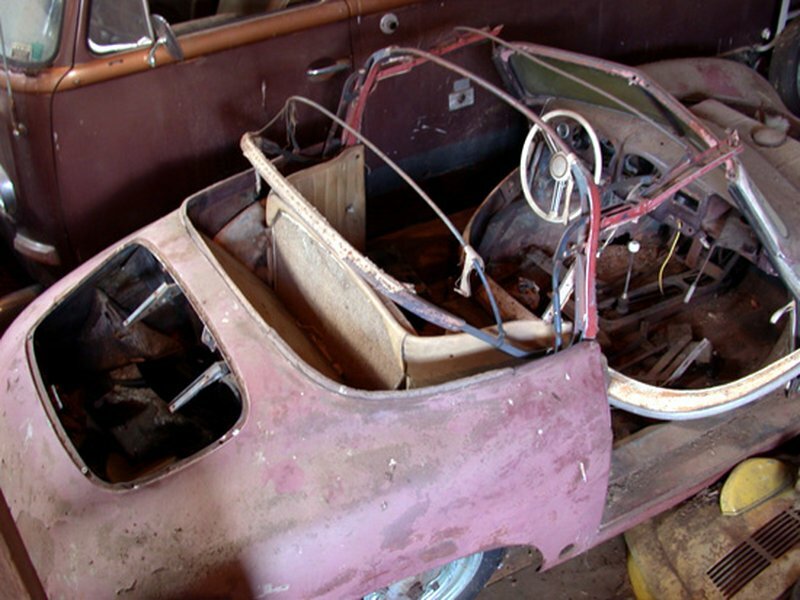 I did a '52 Bumper Body a few years ago also. My very favorite 356 of all time. My car is in metal finishing also. I'll post pictures as soon as my guy returns from Winter vacation. I have a "Radio Blank Off Plate, and a non sender gas tank if you guys are looking for them. Both in near perfect condition. Email me if you want more information. Hello, i had this plate coming with my car, together with the original like it was on all Pre-A cars. I have no idea why there were two plates for the same car...? You guys know how I love these cars. 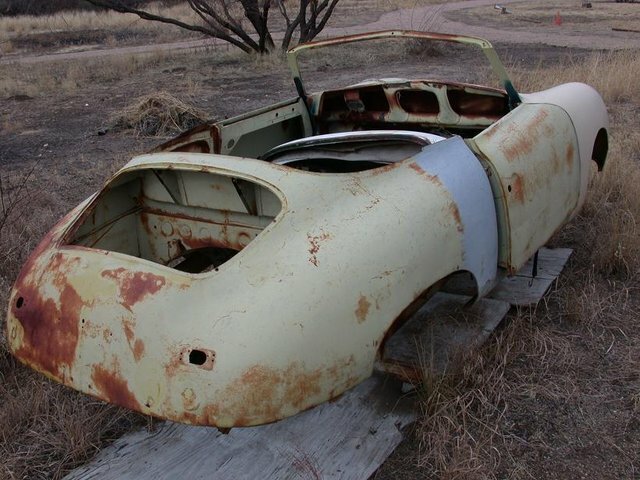 Truly what FP wanted the 356 to look like. I'm working on a '55 Cont. Coupe as we speak. My Avatar is my '52 #11441. My 'new to me' early / interim '52/'53 1500S coupe #11816. VIN plate looks just like the one Spencer posted. 4 rivets, all aluminum, embossed letters and no black areas. that was found on my car during the metal work process. Cheers. Mine was Fish silver-gray originally. No idea if this is the right hue. it looks cute however, suits the car well. i can have my paint guy find a color code or sample if you need it. Thanks guys for this thread. I will post pictures of my '55 Cont., Coupe later this week. It is in the metal shop, and nearly finished with this stage. my '50 is definitely metallic. Anyone has confirmation on this? The carrera panamericana 52 cab was adria blue... Calling James D!! Yes, Adria blue is and was always metallic. Porsche had 3 metallics for the early cars - Fish silver, Radium and Adria. These paints were provided to Reutter by Lechler. There's plenty of documentation of this by Brett Johnson in old Registry magazines - paint sample books, paint manufacturer listings, etc. And the 1952 Carrera Panamerica cabriolet on the cover the Registry magazine a few issues ago was Azure blue, which is a solid dark blue. 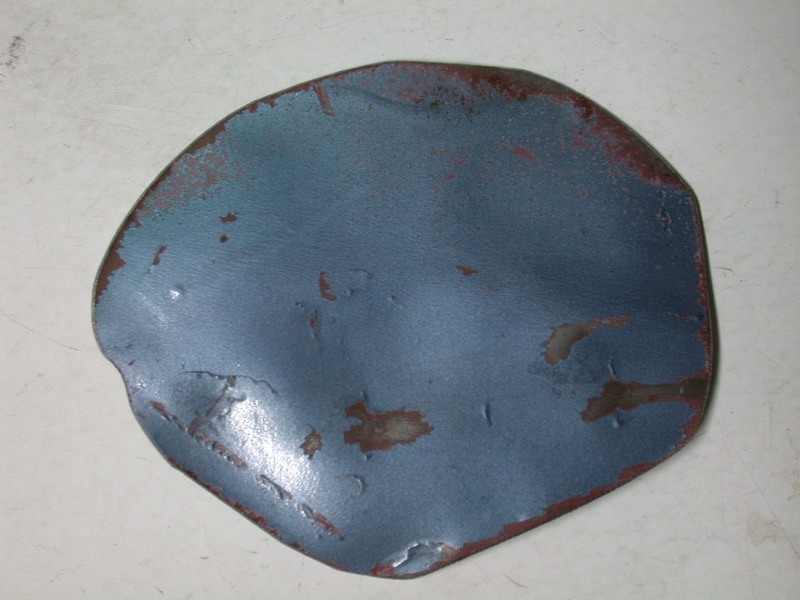 There was also a separate exterior color called "Dark Blue", which was not used much. Last edited by Josh Matthew on Thu Feb 08, 2018 4:47 pm, edited 2 times in total.